A Specialist Registered Body for all your Criminal Record Checking needs. Criminal Records Services Ltd provides a professional disclosure service and consultancy to businesses of all sizes to help you with the difficult area of recruitment decisions, convictions and other complex areas that surround DBS checks. Alternatively you can contact our highly skilled team to obtain the Registration form so we can then provide you with either paper application forms or log in details for our on-line system to enable you to start to make and manage Criminal Record Check application forms on behalf of your organisation. The Criminal Records Bureau (CRB) and the Independent Safeguarding Authority (ISA) have merged to become the Disclosure and Barring Service (DBS). CRB checks are now called DBS checks. 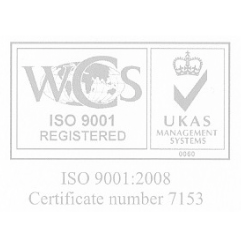 The DBS produce all Enhanced and Standard Certificates for the UK and all Basic checks for England and Wales. Disclosure Scotland (DS) are the Governing Body that deal with all the Basic applications for Scotland.